Imagine getting a good night’s sleep. Imagine not waking up like a zombie. Imagine being able to retain the information you’ve crammed in preparation for that test you have coming up. Imagine coming home from supporting your school and just sinking into another dimension of slumber. I’m not sure if I can help with all of your academic troubles, but better sleep can be achieved with a new mattress. 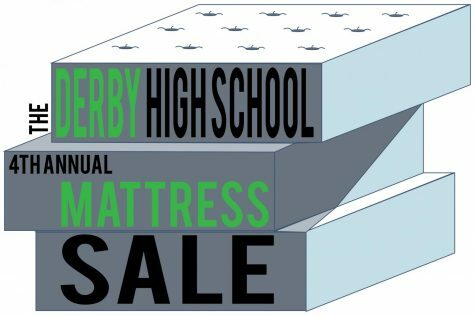 Luckily for you, the band is hosting its 4th annual Mattress Sale. These are name brand mattresses that you can come in and try out and have delivered to your home. The sale also includes sheets, pillows, and massage chairs. Come on, guys. Massage chairs. You know you want one. You aren’t the only one who benefits from this. The band program will get money back for every mattress they sell. The money goes toward captivating concert music and a dope marching show. If you want a fun halftime show at football games, or the fight song at pep assemblies, you should buy some sheets. Just saying.